Can you imagine reading an online article, a blog post, or just looking at any old web page, and not seeing images on it? The Internet is a visual thing, after all, and even when they’re not front and center, photos make a backdrop everyone is used to seeing. So there’s no need to point out how much visual representation means for everyone publishing content online. But there is a case to be made that the time has come to rethink the visual side of content. Are images the best we can do? Are they where things will be in a month, a year, or five years from now? They are not. The future of visual is not in the non-moving images. It’s in the moving ones. The future of visual is in video, and your business needs to start taking video content seriously as soon as possible. Just listen to what numbers are saying. On a monthly level, YouTube has over one billion of visitors. By next year, 69% of the consumer traffic on the Internet will go on video. A year after that, you’ll be able to find a new million of minutes of video material posted online each second. So why should your business start adding their minutes of video content to the mass? To reap the benefits, of course. 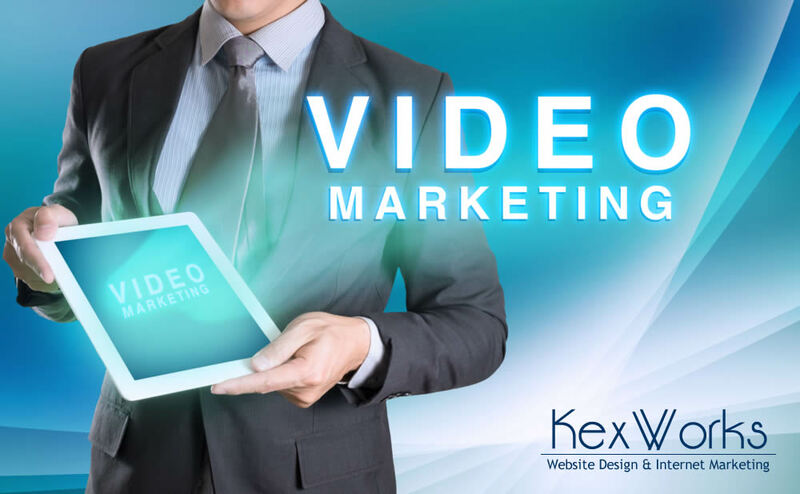 Video content can increase your business’ visibility, and the ability to be found. Take the leading search engine of today, Google. Google is the owner of the video giant YouTube. If your business uploads its videos on YouTube, those videos will be more likely to appear in search engine results. When users search for something on Google, the video results are shown as snippets, and because of the way Google shows these snippets, YouTube accounts for roughly 90% of these snippets. But that’s just one part of how video content can help your business be found. The other part is that, just by being there, you will be found. Why? Because people look for video content for any reason they would look for written content. Whether it’s information, how-to videos, funny clips, whatever – people are searching for it, and they are watching it, not reading it. It’s a whole new playing field you cannot afford to skip on. Speaking of new playing fields, video content allows your business to further deepen the connection to your customers. Every single thing you have ever hear about branding and establishing a visual identity of a business can be applied to your video content. You can choose the colors that dominate your videos, you can choose the content you provide, the way you provide – whatever is the core value for your business, you can incorporate it in your video content, and communicate it with your customers. As you can see, you shouldn’t doubt video content’s ability to raise your business brand awareness. If you provide valuable content with consistency, people will begin to expect it from you. They will also subscribe to your channel, allowing you to continue using your video content to attract more users to your business’ website. But you shouldn’t forget that it’s people who are looking at your business’ video content. It’s not just numbers. It’s people, and some of them could be pretty high up in the business world. Business execs watch video content, too. And if the content you provide offers real value to them, it can represent a doorway that leads you to great opportunities. The bottom line is – it’s fairly easy to get into video content these days. It doesn’t cost anything to open a YouTube account. Most decent smartphones have cameras that are good enough to create video content. Video editing software is also available for smartphones. In fact, chances are that you already have everything you need to start creating video content for your business.